Radha Rangarajan, author of Keya's Day at the Beach, is usually found lost in either a forest or a book. 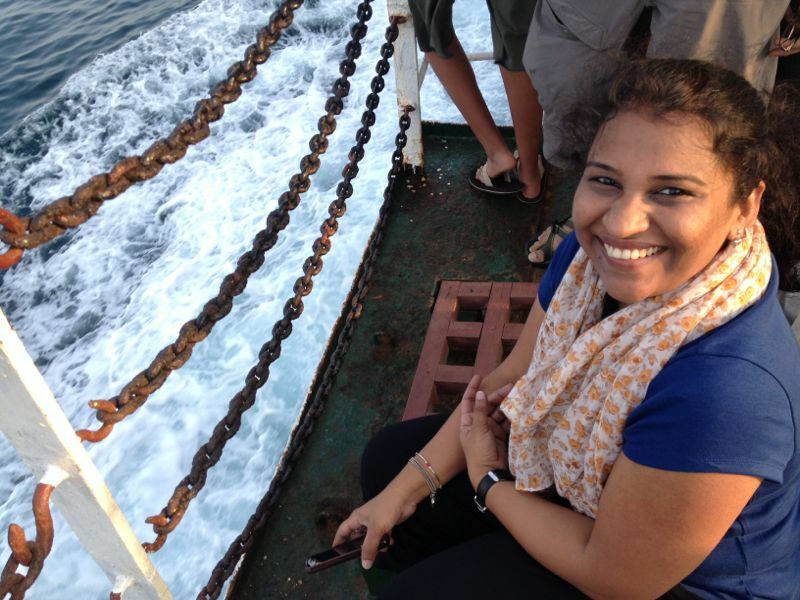 A photographer, Radha dabbles in filmmaking, art, and writing. She's a natural history buff and is partial to elephants, fungi, owls, and trees. She posts as @radharangarajan on Instagram. Fans of her beautiful photographs of various intriguing animals, and her children's book on different kinds of crabs, we sent her some questions to answer. 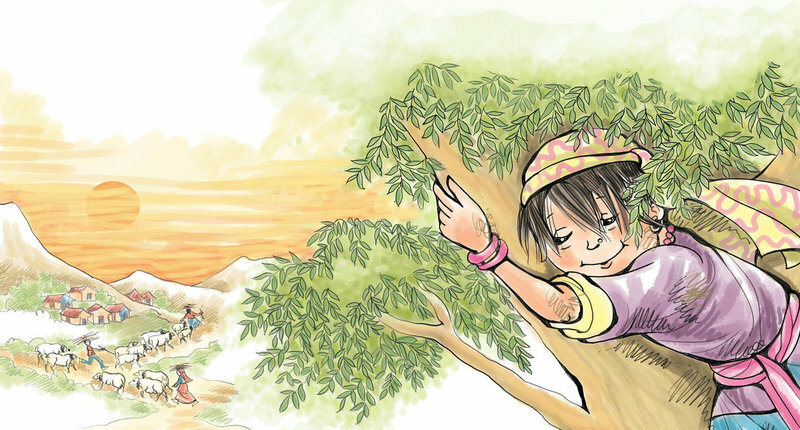 Read on to know more about Keya – the central character in Keya's Day at the Beach – and how she came into being. How was Keya’s Day at the Beach conceived? 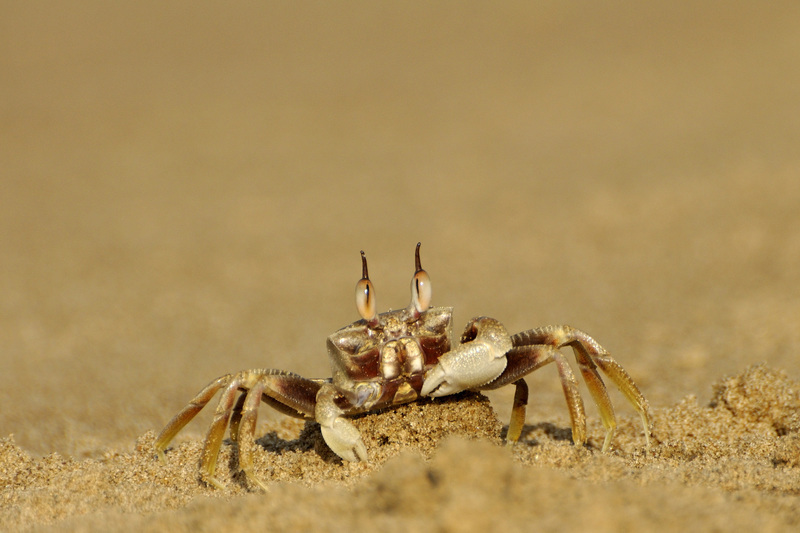 I took a fancy to photographing crabs after a trip to the Andamans in early 2013. Later, I had to visit Devbagh Island in Karwar for a story on mangrove plant species. What I saw there left me astounded. There were several thousands of Soldier Crabs out on the beach at low tide everyday. Along with them, I saw hundreds of Ghost Crabs, Fiddler Crabs, Sand Bubbler Crabs and many more. I ended up spending all my time wandering about the beach at low tide, observing them. At the time, I wanted to try my hand at filmmaking and decided to work on a short film on crabs for JLR Explore. I went back to Karwar with two friends and we spent some glorious days filming and photographing crabs. Bijal Vachharajani happened to watch this short film, Crabs of Karwar, at the Moving Waters Film Festival here in Bangalore and suggested that I write a book for children. That is how I ended up writing about crabs! All the research and photographs for Keya’s story came from my filming and photography project. I didn’t have to do any extra/specific research while writing because a lot of work had gone into writing the script for the film. 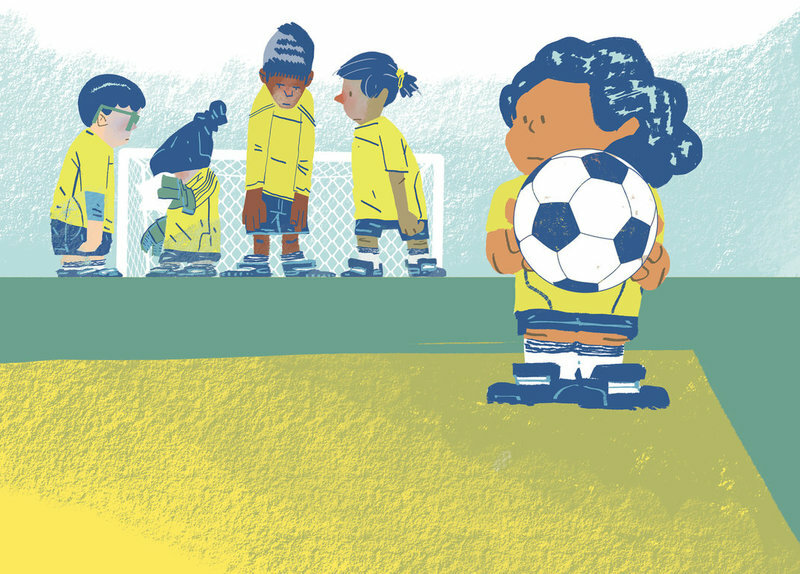 What kind of reactions do you hope this story will inspire in children? When one says ‘crabs’, the first thing that most people think of is seafood. This instant recall is very hardwired into us, and that is what I wanted to challenge, with my film and now this book. Before they are thought of as a form of food, I would love it if they are thought of as wildlife, as wild as a spider, a fish, a bird or an elephant - that they have specific behaviours, mannerisms, seasonality, etc. And I hope that children who read this book will try to relate to them as wildlife first. 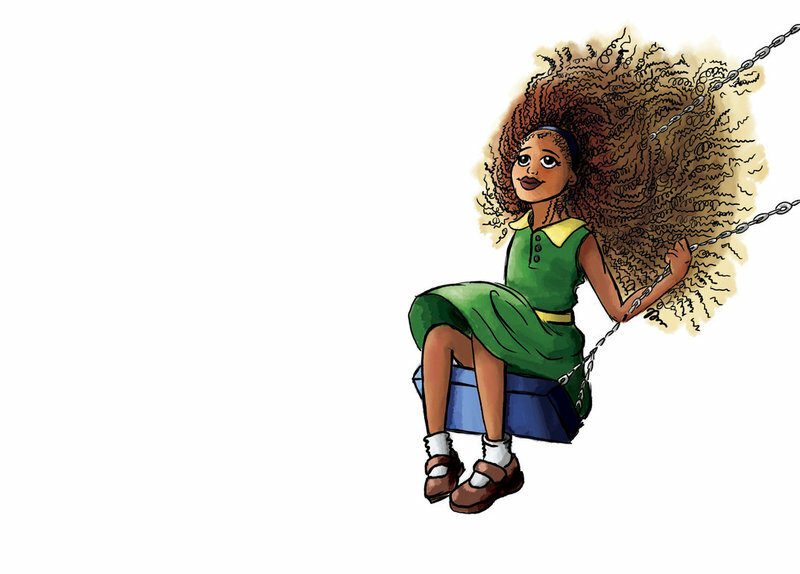 What qualities do you think children will notice in Keya? Keya is a bright, curious child and asks many questions, just like all the children we know! I think and hope that they will be able to associate these qualities with her. What are some wildlife books for children that you have enjoyed? M Krishnan’s Book of Beasts: An A to Z Rhyming Bestiary is one of my all time favourite books for children; the verses are simply delightful. I happened to read Charlotte’s Web very recently and I am fascinated by how beautifully EB White describes Charlotte, the spider’s webs and her behaviour. The Harry Potter series has some of the best and detailed narratives around animals - imaginary or not. Dragons, phoenixes, hippogriffs, blast-ended skrewts, unicorns, basilisks, thestrals, nifflers, pygmy puffs, acromantulas - it is an amazing world. 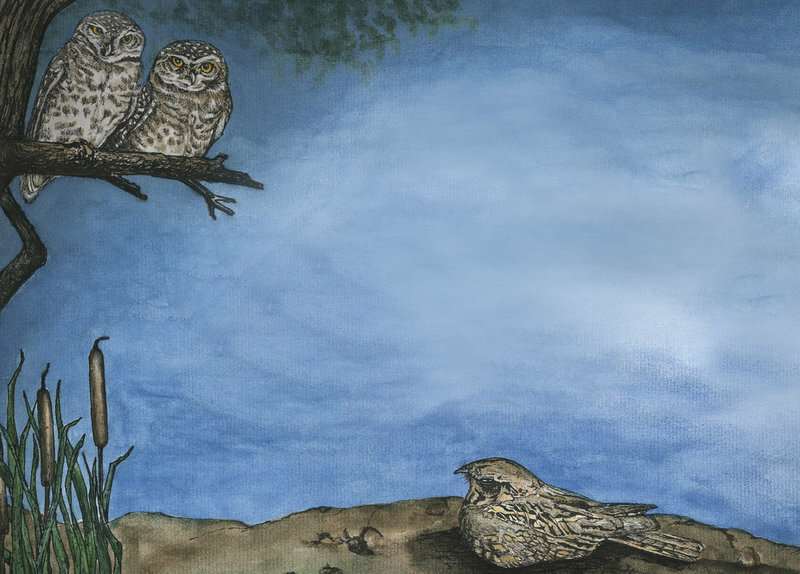 And apart from all these magical creatures, there are so many owls! What advice would you give to children who want to be a wildlife photographer like you? Wildlife and nature photography is a wonderful hobby and is an enriching experience. One doesn’t have to go far to find wildlife, because there are many forms that live around and among us. A simple walk in the garden can be a lesson in natural history if one pays attention to every leaf, twig, stone and sound. And this is most important because a good understanding of the subjects we intend to photograph makes the photographs better and more meaningful. Do you have a favourite crab? I absolutely love and adore hermit crabs. They are the crabs I first observed and photographed when I went to the Andamans and my crab-journey began from there. 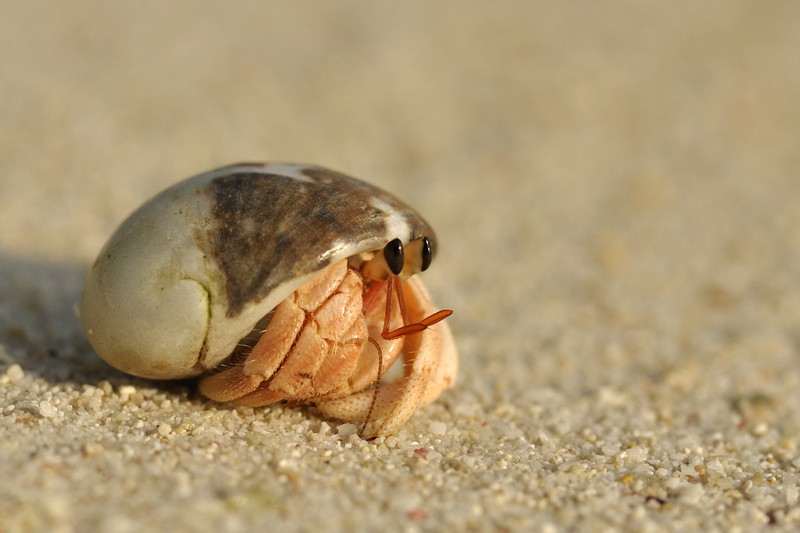 Hermit crabs are not true crabs - while other crabs have a fixed, hard shell, hermit crabs have soft shells. To protect themselves from heat and predation, they use shells that have been abandoned by other molluscs and wear them like armour; it is as if they are walking around with portable homes on their backs. Not only do they look cute, their behaviour when they are with fellow hermit crabs, and when they are looking for bigger and better shells to fit into is very very interesting. 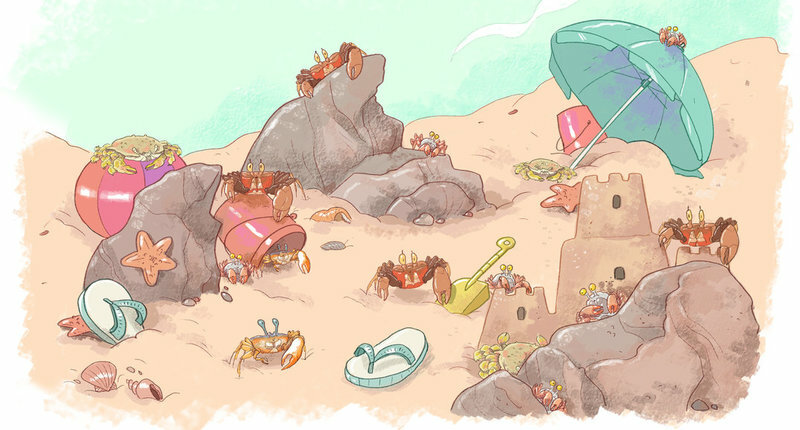 You can read Keya's Day at the Beach on StoryWeaver for free. This story is also available in Kannada, Marathi, Tamil and Hindi. 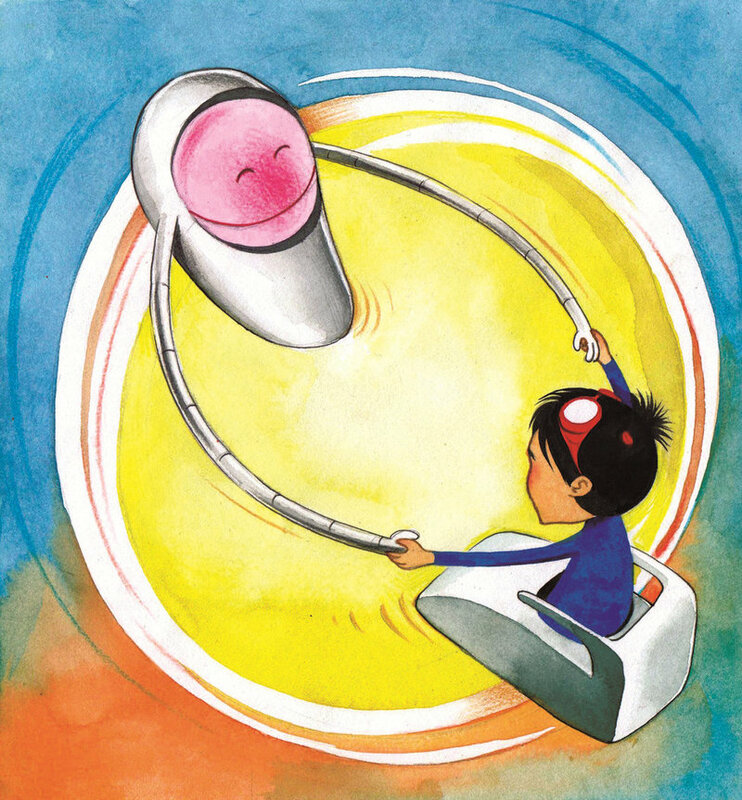 Since its inception, Pratham Books has published a range of picture books that explore STEM (Science, Technology, Engineering and Math) topics in interesting ways. But it is since 2015 that we have been doing this in a much more focussed manner. The main reason for this was the realization that there aren’t enough multilingual information books available for early readers in India. The fact that many children find science and math slightly daunting made this even more of an interesting challenge because we felt that we could help change this perception by creating fun, memorable books around STEM topics. While we've been exploring a number of ways to introduce STEM topics to children, one of the biggest challenges has been to present information accurately, imaginatively and in a simple way without making it seem 'textbookish'. So it was essential that we paid attention to the narrative, plot and tone of each book so that children are drawn to it. Since we work extensively with children from economically disadvantaged backgrounds, it is important that our books are relevant to these children. Conversations with partner organizations who work closely with these children reveal the need for simpler books as their reading fluencies are still developing. Bearing that in mind, our focus has been on creating simple books that encourage children to explore the world around them with an open mind, ask as many questions as they possibly can and find ways to apply their knowledge. We continue to be keen to create STEM books, so we thought it might be interesting to highlight a few books that were created over the last couple of years, mainly as a way for us to reflect and share our learnings. So what worked? Clarity of concept – An important aspect of a STEM book is its ability to demonstrate the concept clearly. I Spy! (by Samvida Venkatesh & Sandhya Prabhat) explains the concept of subtraction wonderfully - using play and humour. Simplicity – Most of our conversations with our outreach partners lead us to the same conclusion: the need for simpler books that match the reading levels of the children we work with. Sunando Chakraborty’s Sniffles, a story about how flu spreads, is an excellent example of this. Also, we adore the central character of this book. Satya, Watch Out! is another good example of simplicity of narrative and plot. Good storytelling – Jadav and the Tree-Place won the Best Digital Book award at the Publishing Next conference last year. This story – about forester Jadav 'Payeng' Molai - stood out for us as well mainly because it is an inspiring story narrated powerfully by Vinayak Varma. 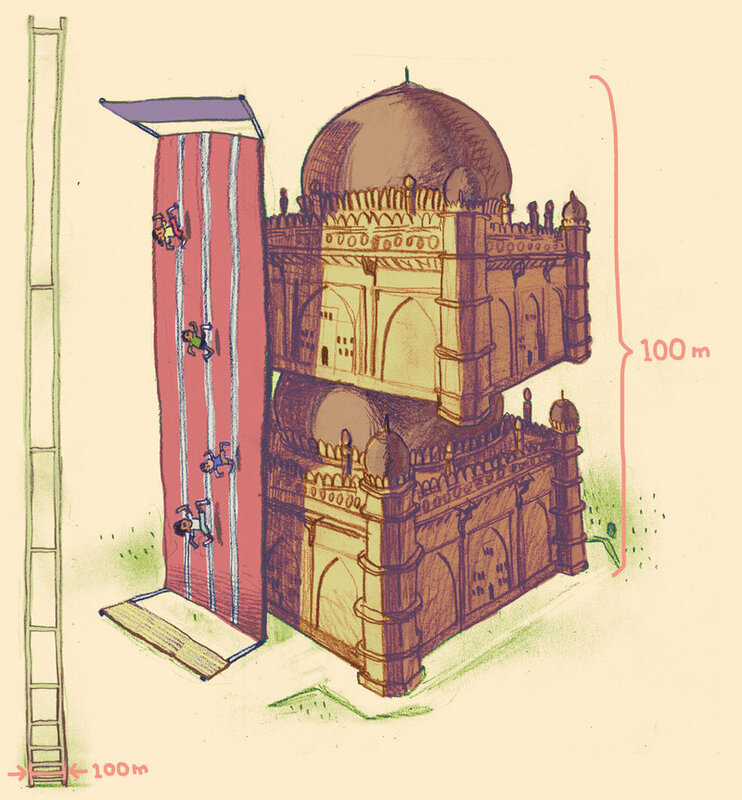 Using humour – Rajiv Eipe’s Ammachi’s Amazing Machines has been a big hit with our readers for many reasons! But one reason for its popularity is the gentle humour that runs through the story, especially in the art. While it can be challenging to include humour in STEM books (imagine having done this in a story about simple machines! ), we can tell you that it works wonders. Seamlessly blending fiction and non-fiction – It isn’t easy to strike the right balance between fiction and fact, so we were delighted to publish A Butterfly Smile (by Mathangi Subramanian & Lavanya Naidu) which has managed to achieve this. In this, a girl who is new to the city shares her knowledge of butterflies with her classmates and also learns new facts about them. At the same time, it highlights migration due to environmental and economic reasons. Another story that managed to do this successfully is Dum Dum-a-Dum Biryani! (by Gayathri Tirthapura & Kabini Amin) which explores the fascinating relationship between math and cooking. Widening the imagination – What better way to talk about this than directing you to How Far is Far? A book about distances, big numbers and measurement, Sukanya Sinha and Vishnu M Nair have created an exceptional math book which stays true to the core ideas of math: play and exploration. Memorable characters – Being able to create characters that stick in our memory is an admirable skill. Including memorable characters naturally makes it easier for children to retain the concept and story. In that regard, some of our favourite characters are: the quirky grandmother from How Old is Muttajj? (by Roopa Pai & Kaveri Gopalakrishnan), the endearing gharial from Ghum-Ghum Gharial's Glorious Adventure (by Aparna Kapur & Roshan K), adventurous Arya from Arya in the Cockpit (by Nandita Jayaraj & Upamanyu Bhattacharyya) and the perpetually hungry Neema from Bijal Vachharajani and Priya Kuriyan's What's Neema Eating Today?. Reinforcing the concept through activities – In the case of STEM books, it’s very helpful to have fun, practical activities at the end of the book. Children seem to enjoy this as it allows them to engage with the concept in a real way and not be passive consumers of information. A Butterfly Smile has a really fun activity at the end of the story. We’ve been told by teachers that How Old is Muttajji? was well received because children enjoyed the interactive nature of the narrative which challenged them to think, much like solving a puzzle. Pure non-fiction – Although we haven’t done much in terms of straightforward non-fiction, we are beginning to see the massive potential of this. The only reason we didn’t do much of this is for the fear of seeming ‘textbookish’. But the response to books like How Does Toothpaste Get Into the Tube? (by Veena Prasad & Rajiv Eipe) has made us realize that we should look at publishing more of these. This book has certainly done well in choosing the right question – a question that is likely to baffle us, and one that doesn’t have very obvious answers. Ability to relate – Some of the stories that children have quickly taken to are the ones that they find easy to relate to. For instance, One by Two (by Maya Bisineer & Shreya Sen) which is essentially about division but involves a lot of food sharing which is familiar to most of us. Fascinating topics – Very often, finding a theme that is of interest to children is half the battle. Of course, this is an old trick! But, it’s a useful one – especially for STEM stories. 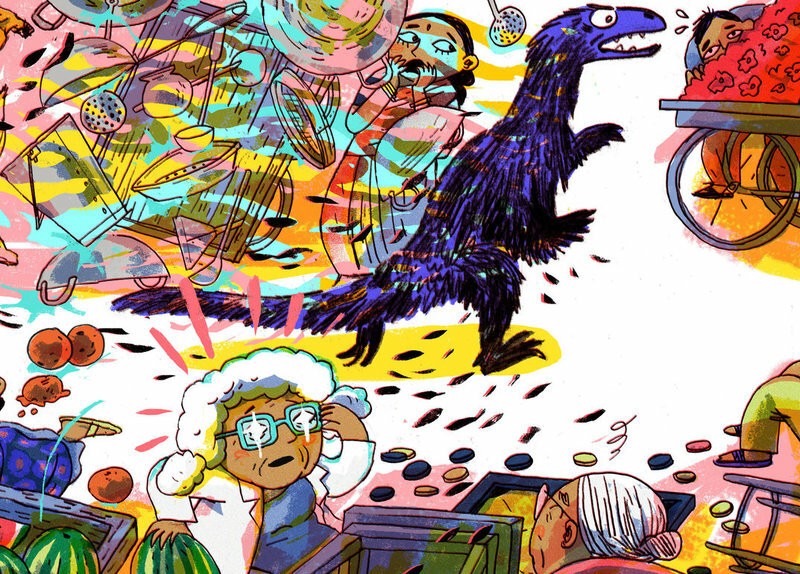 Just last year, we commissioned Gul in Space (by Richa Jha & Lavanya Karthik) and Kaakaasaurus (by Shalini Srinivasan & Prabha Mallya) because... well, space and dinosaurs! Good for Read Aloud – We decided to include this point only because we find that a lot of our books are read aloud in schools. 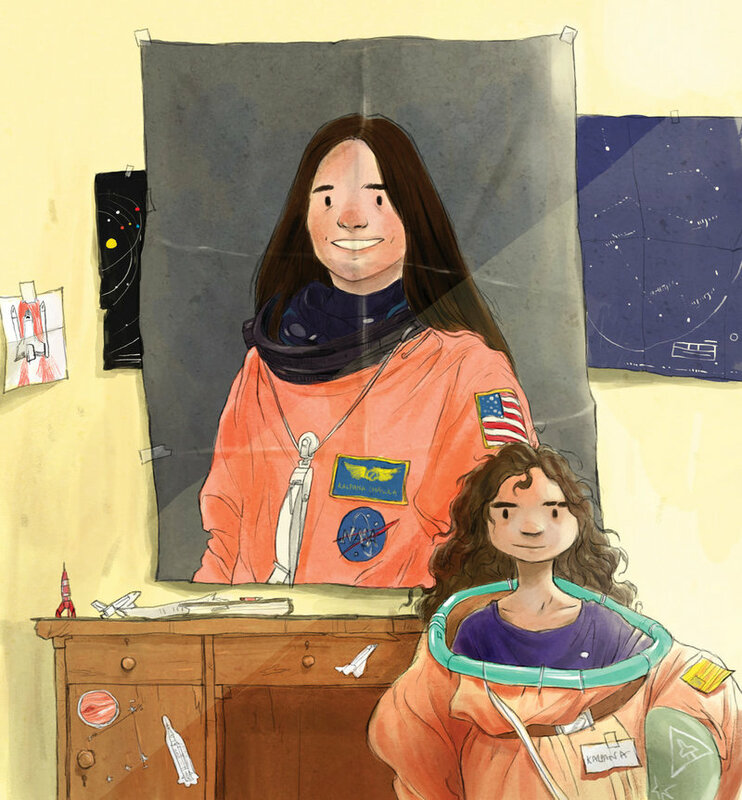 So it’s always wonderful to have STEM stories that are fun to read aloud. A perfect example of this is Anupama Ajinkya Apte's Gulli’s Box of Things - a STEM book we published a few years ago (in print). 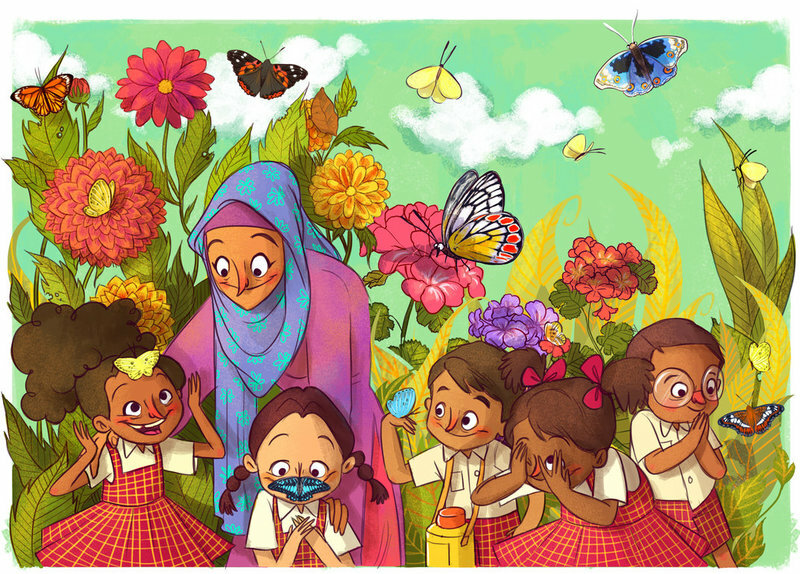 All the STEM books that are mentioned here are available for free on StoryWeaver in English, Hindi, Marathi, Kannada and Tamil. Stories for 2017: 10 Themes for a Happy New Year! ‘If you’re skilled at something, don’t give it away for free’ is a piece of advice that we heard so many times growing up, that just the fact that a thing called CC BY License even exists seems absurd and foolish by today’s standards. But that’s what Pratham Books' 1.5 year old digital platform StoryWeaver, all its illustrators, authors as well as translators believe in – free dissemination of our books in order to achieve our ultimate goal: ‘A book in every child’s hand’. In 2016, with 5326 stories uploaded on StoryWeaver, 25 languages added, and 1,19,132 new visitors (A warm hello to you all! ), we feel truly grateful. It is indeed a Happy New Year for the StoryWeaver family. So we would like to express our heartfelt New Year wishes to you all in the best way we know. By highlighting here just 10 of our books that speak of themes that currently are, and will remain, points of discussion and action in 2017. We seriously need to drop the act that we are gracious hosts to nature, and are ‘allowing’ it to be. It’s the other way round. With some people claiming proudly that global warming is not real, and regressive environmental policies being made all over the world, it’s important to keep talking about conserving nature. Here’s a story about one of the bravest fights in India that made Chipko Movement a force to reckon with. Any one of us who successfully evaded technology as much as they could before, now must make their peace with it in this digital economy. We don’t know where technology will take us in 2017, but we know where it might reach in 2080! Read about this futuristic tale about two very unlikely friends. Maybe we can be friends with technology too, just like Devi in this story? Available in 9 more languages! It’s a failure of our education system for not recognizing students as individuals and keeping them at a ‘uniform’ pace of comprehension with each other. 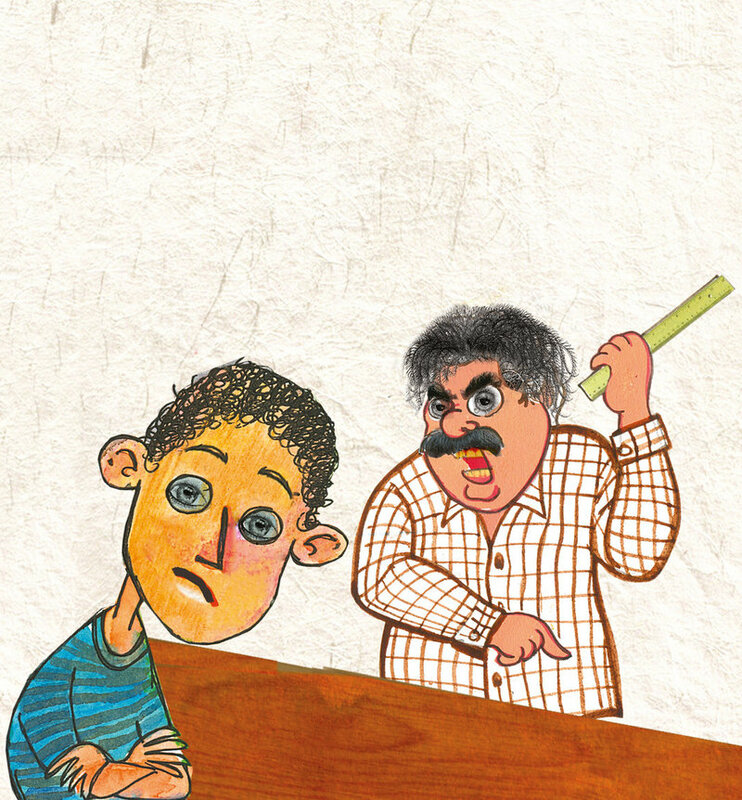 This moving story in Hindi, Kannada, Odia and Marathi, talks about how how easy it is to lose your spark when you're a student under the wrong teacher and regain it with the right one. When the good ones are silent, the misguided will shout and reign. Be the first voice to speak up against loss of beauty and justice. Here’s a story that flows like a poem and builds up your love for something that this neighborhood derives so much peace and wisdom from that you will want to protect it yourself. Let’s, for once, not talk about Hockey with a sense of guilt at not having given it too much traction in life. 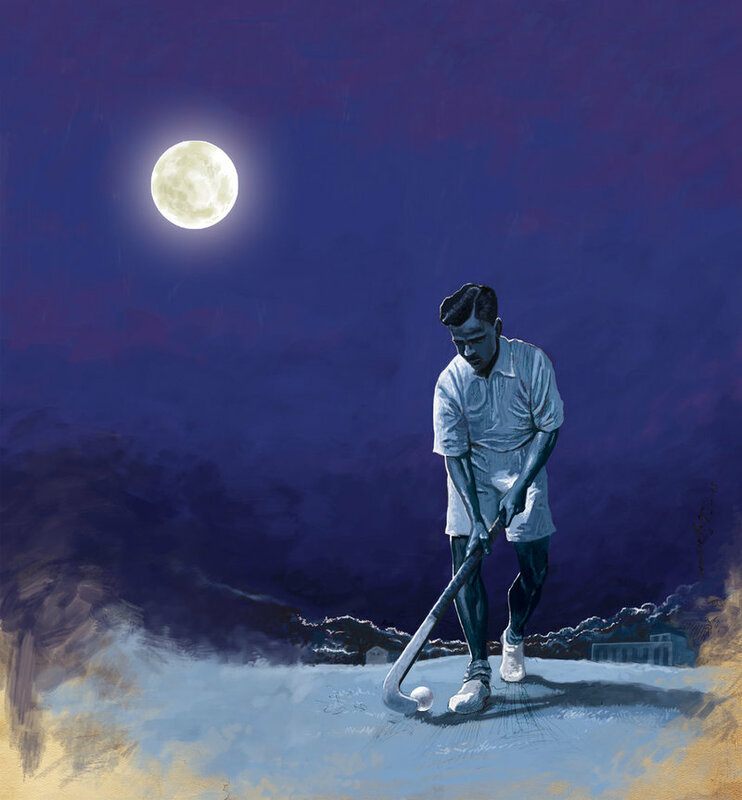 Let’s just read this story about Dhyan Chand- one of the best things to have happened to Hockey and one of the worst that happened to Hitler. Win, win all the way and yet he stayed humbly devoted to the sport all his life. A man worth knowing about, he will teach you the true meaning of sportsmanship spirit. Yes, humour is indeed an important point of discussion. And more importantly, action. 2016 clearly needed a hug, and some jokes. 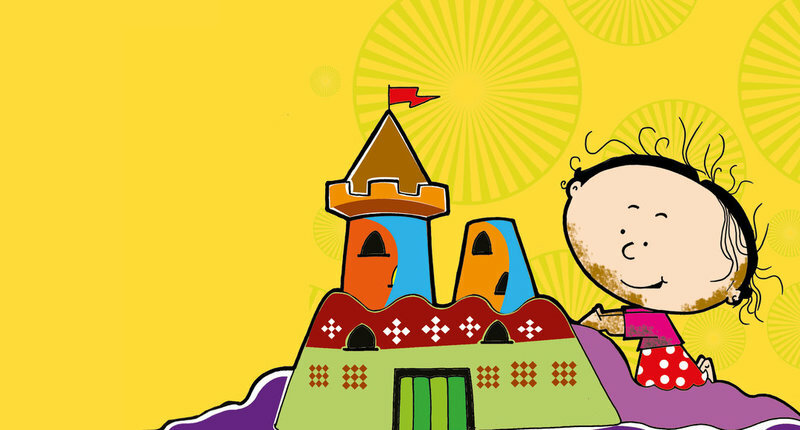 So we are better prepared this time for 2017 with our fun story – ‘Phani's Funny Chappals’ by Sridala Swami and Sanjay Sarkar, and our Spotathon entry ‘Messy Miss Mita’ by Jisha Unnikrishnan. Travelling inwards is just as important as travelling outwards. We need art now more than ever to connect with an ever-expanding world, and to convey our strongest messages and passions with more ease and solidarity. 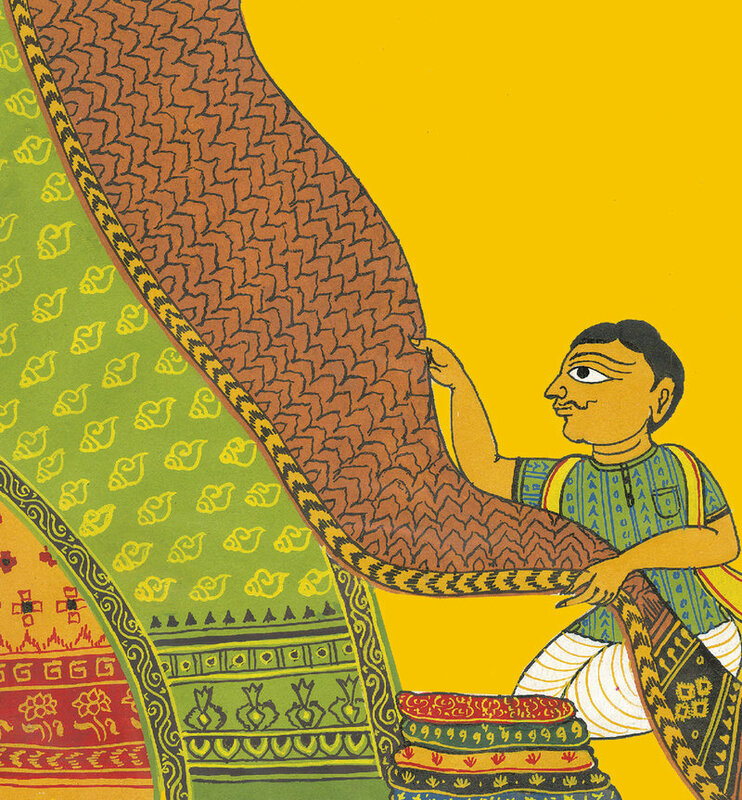 Experience beauty, talent and magic all woven, embroidered and sculpted together in our Dastkari Haat Books. Physical, spiritual, mental and emotional health. Let’s make a new year resolution to take care of it all. Here’s a story by our SW community member about a world where a soap called Soapy will fight the evil germs and restore balance and health! Dismissed someone lately or ridiculed someone in your mind (because doing it to their face would be politically incorrect) just because they did not look, talk or well… live, like you do? This one’s for you then. Let’s look at how a child sees a playground, and let’s compel ourselves to look at people and accept them the way they are in this judgment-reflexed world. There are all kinds of families. But as this Urdu story shows, not one can function without mutual trust and respect - Values that can make 2017 better for everyone. 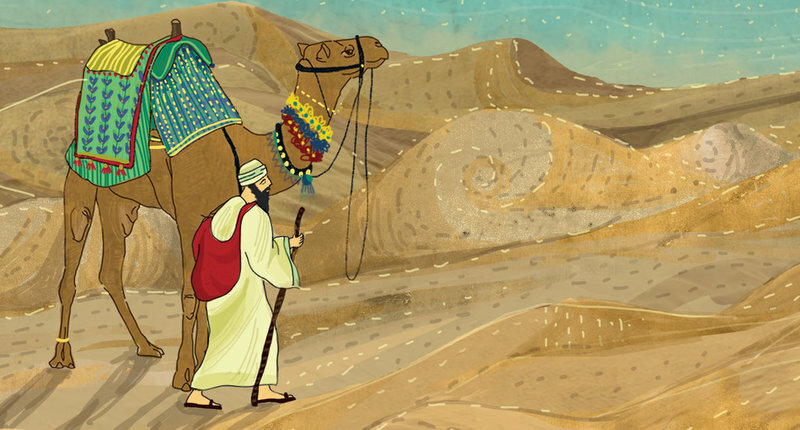 Ride a camel to Egypt and pay a visit to this family? Let’s go. Which theme concerns you the most as we step into a new year? Tell us in the comments, or on Twitter and Facebook.